Affordable fully balanced nutrition for laying poultry of all kinds, including chickens, bantams, ducks and geese. Quality protein for muscle, tissue and feather development and egg production. Natural energy sources for condition and well-being. Fully balanced with essential vitamins and minerals, including zinc and selenium, to support health and immunity. Omega oils and natural plant extracts. 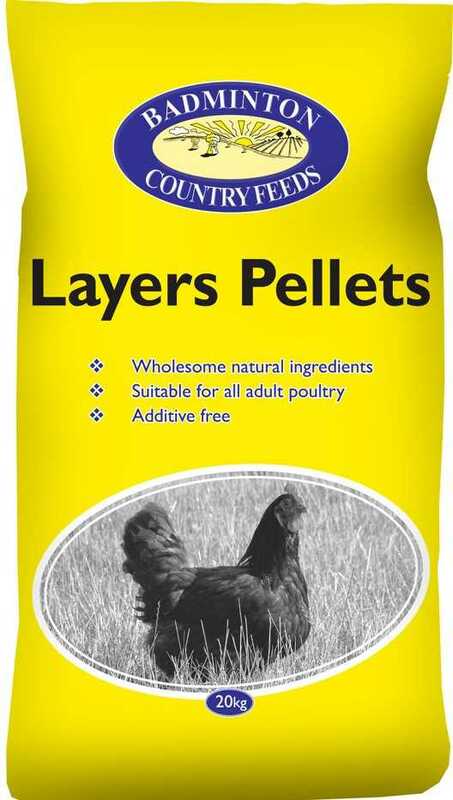 Always give Layers Pellets in the morning to encourage hungry birds to consume their fully balanced ration. A “treat” of Poultry Corn or Supreme Poultry Corn may be fed in the afternoon or evening, especially during the winter, to provide additional calories to keep the birds warm overnight.